DESCRIPTION OF THE BOOK: Fourth grader Sarai Gonzalez can do anything. She can bake, dance, and run her own cupcake business. But when Sarai’s grandparents are forced to move, even Sarai’s not sure what to do. So she hatches a super awesome plan with her younger sisters and cousin to buy back the house. But houses are more expensive than she ever thought, her sisters won’t listen, and she’s running out of time. Will Sarai find a way to save the day? Inspired by the life of viral video sensation and social activist Sarai Gonzalez with the help of award-winning children’s book author Monica Brown. MY TWO CENTS: Like many, I was enchanted by the star of Bomba Estéreo’s 2013 viral hit “Soy Yo.” Sarai Gonzalez, with her glasses, funky hair, and can-do attitude was instantly memorable for her message of self-acceptance. Gonzalez’s quirky persona resonated, in part, because she represents a Latinidad not often proliferated in contemporary media. Sarai’s unique brand of relentless optimism, captured so artfully in the “Soy Yo” music video, is magnified in the early reader Sarai and the Meaning of Awesome, written by Gonzalez and award-winning author Monica Brown, illustrated by Christine Almeda. Sarai and the Meaning of Awesome is lovely in a multitude of ways. From Gonzalez and Brown’s conversational and jovial tone to Almeda’s illustrations (both in the margins and via two-page spreads throughout the text). And, albeit brief, this book is captivating. 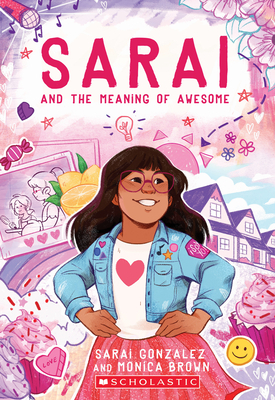 For a young readership, Sarai’s opening affirmation “YOU ARE AWESOME” is as much a declaration for Sarai as it is for the readers she invites along with her as she embarks on an entrepreneurial mission to save her grandparents’ house (2). Bolstered by her endless supply of creative problem-solving, Sarai recruits her sisters to help make cupcakes and sell lemonade (limonada) and “delicious purple-corn-ade” (chica morada) to raise money when her grandparents’ rental home goes up for sale (78). Young readers will be captivated by Sarai’s agency and her ability to think quickly and take charge. Even so, her contributions to her family are fully within her capabilities as a ten-year-old and, as such, are completely believable. The ultimate result of her efforts is equally realistic and conveys to young readers that even in failure, success and growth can be found. Gonzalez and Brown ultimately weave a tale that shares its abundance of hope with a readership who needs it. In a time when Latinx children are victimized by current political ideologies, seeing Sarai take charge and resist provides a necessary counterstory. What’s more, Sarai’s story of perseverance and hope is universal. In many places throughout this book, being Latinx is incidental to the plot. It’s a great joy to read a book like this. So often, being Latinx (though Sarai is careful to explain her family history, her mother is Peruvian and father is Costa Rican, while she and her sisters are from the U.S.—meaning that she and her family “are really, truly Americans—North, South and Central!” ), is the catalyst for problems. But Sarai’s grandparents’ ethnic and cultural identities are unrelated to their rental house being sold. As such, this text doesn’t paint one’s Latinidad as something to overcome, but rather something to be embraced, as Sarai uses her bilingualism to sell her baked goods and other treats to a wider customer base. ABOUT THE AUTHORS: Thirteen-year-old, Sarai Gonzalez became an overnight sensation after appearing in Bomba Estereo’s “Soy Yo,” a music video about embracing yourself and loving your flaws. The video has garnered over 50 million views and the New York Times called Sarai a Latina icon. Sarai and the Meaning of Awesome is the first book in the new chapter book series inspired by her life. Sarai lives in New Jersey with her family. Monica Brown, Ph.D., is the award-winning author of Waiting for the Biblioburro/Esperando al Biblioburro, Marisol McDonald Doesn’t Match/no combina, and the Lola Levine chapter book series, including Lola Levine is Not Mean, Lola Levine, Drama Queen, and Lola Levine and the Ballet Scheme. Her books have garnered starred reviews, the Americas Award, two Pura Belpré Author Honors, and the prestigious Rockefeller Fellowship on Chicano Cultural Literacy. She lives in Arizona with her family and teaches at Northern Arizona University. Find out more at www.monicabrown.net. ABOUT THE ILLUSTRATOR: Christine Almeda is a Filipino-American freelance illustrator from NJ / NYC. She graduated from Montclair State University, earning a BFA and an Award for Excellence in Animation & Illustration, focusing on children’s media. She believes in the power of storytelling and that art has the ability to make life a little more beautiful. Click here for an introduction to illustrator Christine Almeda, which includes a look inside Sarai and the Meaning of Awesome. DESCRIPTION OF THE BOOK: Frida Kahlo and Her Animalitos, written by Monica Brown and illustrated by John Parra, is based on the life of one of the world’s most influential painters, Frida Kahlo, and the animals that inspired her art and life. The fascinating Mexican artist Frida Kahlo is remembered for her self-portraits, her dramatic works featuring bold and vibrant colors. Her work brought attention to Mexican and indigenous culture, and she is also renowned for her works celebrating the female form. 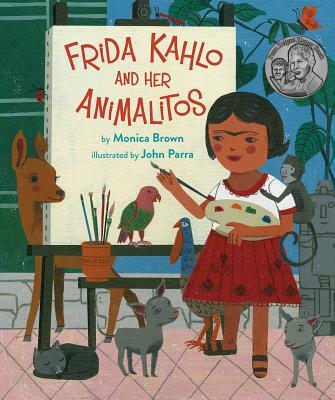 Brown’s story recounts Frida’s beloved pets–two monkeys, a parrot, three dogs, two turkeys, an eagle, a black cat, and a fawn–and playfully considers how Frida embodied many wonderful characteristics of each animal. MY TWO CENTS: Any story for children that involves a positive relationship with animals is captivating, and this story certainly is. It shows how animals played a supportive and nurturing role in Frieda’s life and also how they became her artistic muse. I enjoyed learning the names of her animals and about how she responded to the stresses of having to be bedridden at two separate times in her life by using imagination, creativity, and art to liberate her mind, find enjoyment, and express herself. This book was published in both English and Spanish. Given that I like to read to my children in both languages, I often prefer having both languages accessible in one book. And, I can see the value in marketing to distinct audiences. I experienced the Spanish language version as more layered and nuanced and that may be because Spanish is my second language, so I had to work harder and focus more to read it and, therefore, got more out of it. The earth-toned illustrations by John Parra are a great accompaniment to the text and drew me into the story with ease, bringing the animals and characters to life. At the end of the book, there is an Author’s Note that provides background information on Frieda and more information about her paintings and career as an artist. The book references Frieda’s close relationship with her father, who is described in the Author’s Note as German Hungarian. Throughout her life, Frieda described her father as Jewish, but neither the book, nor the Author’s Note mention this, which piqued my curiosity since, as a Latina Jew, that had been one of the things that drew me to Frieda Kahlo. In doing a small bit of research, it appears that a 2005 book traced her paternal lineage and concluded that she was from Lutheran stock. Yet, it wasn’t completely clear to me if that included a thorough examination of her paternal grandmother, Henriette Kaufman’s lineage. Regardless, it remains curious as to why Frieda talked about her father as Jewish. Various commentators have opinions on this issue. I did learn that she changed the spelling of her name to include the “e” during World War II, so that the spelling would more closely resemble frieden which is the German word for peace. TEACHING TIPS: The first thing that came to mind when I read this book was the image of all young readers demanding that their parents buy them a monkey! From a teaching perspective, this presents a wonderful opportunity to discuss the history of animal rights, the distinction between domesticated and wild animals, and the importance of animals being in a habitat that promotes their long-term survival. While Frieda loved all her animals, her “domestication” of a fawn and a pair of monkeys should be stressed as something unique and not to be emulated, especially because any naturally wild animal that becomes domesticated is typically not able to return to the wild successfully. I see a second opportunity to engage in a classroom discussion about support animals (Emotional Support Dogs/ESDs, Mental Health/Psychiatric Service Dogs, Therapy Dogs, Guide Dogs for the visually impaired/blind) and how animals are used in various ways to help people. In the U.S., it is estimated that 44% of all households have a dog and 35% have a cat. This statistic could be used to launch a conversation about why people have pets and what role pets play in our lives. For older children, this discussion can lead to the role that zoos play in society and a debate about the pros and cons of zoos. Some 2017 resources include the film A Dog’s Purpose (for children/teens). For teachers, reading the book The Zookeeper’s Wife or seeing the 2017 movie adds an interesting angle to zoos. The new release The Dogs of Avalon (August 2017) expands the conversation about animal rights and justice. Another route to explore is Mexican art and the role that both Frieda Kahlo and Diego Rivera (who is referenced in the book) played in shaping the field through their contributions as painters. As a creative activity, it might be fun for children to do self-portraits with pets they have and/or with animals they like (the latter for children who don’t have pets). WHERE TO GET IT: To find Frida and Her Animalitos, check your local public library, your local bookstore, or IndieBound. Also, check out Goodreads, Amazon, and Barnes & Noble. Click here for a Coloring Activity Sheet. Click on the image below to see the book trailer! 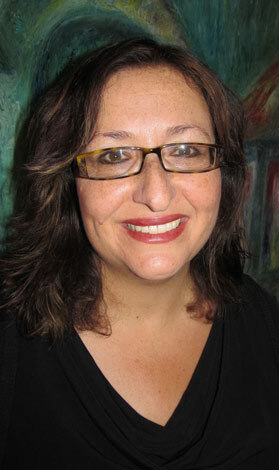 ABOUT THE AUTHOR: Monica Brown, Ph.D., is the award-winning author of Waiting for the Biblioburro/Esperando al Biblioburro, Marisol McDonald Doesn’t Match/no combina, and the Lola Levine chapter book series, including Lola Levine is Not Mean, Lola Levine, Drama Queen, and Lola Levine and the Ballet Scheme. 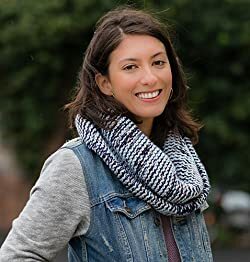 Her books have garnered starred reviews, the Americas Award, two Pura Belpré Author Honors, and the prestigious Rockefeller Fellowship on Chicano Cultural Literacy. She lives in Arizona with her family and teaches at Northern Arizona University. Find out more at www.monicabrown.net. ABOUT THE ILLUSTRATOR: John Parra is an award-winning illustrator, designer, teacher, and fine art painter. His children’s books have earned many awards including, the SCBWI Golden Kite Award, ALA’s Pura Belpré Honors, The Christopher’s Award, the International Latino Book Award, and many more. In 2015, John was invited by the Metropolitan Museum of Art in New York to present a special event about his work and career in art and illustration and in 2017 John’s art will be seen on six new Forever Postal Stamps from USPS titled: Delicioso. He currently lives with his wife Maria in Queens, New York. John graduated from Art Center College of Design in Pasadena, California. Visit him on the web http: //www.johnparraart.com/home.htm, or follow him on twitter @johnparraart. CLICK HERE TO ENTER OUR GIVEAWAY. YOU COULD WIN FRIDA AND HER ANIMALITOS IN ENGLISH OR SPANISH! Why write a chapter book series? I love this age of reader and I love this age. It really is an honor and a delight to write an #ownvoice chapter book series because my books might be the very first “novels” a child will be read, and the first read on their own! There are plots, subplots, world creation, and all those things that go into any novel. It’s a challenging genre to write in, but it’s an important one, because chapter books can establish a true love of reading. It is also one that has had a paucity of diverse main characters, and even fewer authors of color. While most librarians will know exactly who Junie B. Jones and Judy Moody are, we just don’t have multicultural chapter books with that reach and readership, and we desperately need them. I’m very proud of the books my amazing illustrator Angela Dominguez and I created with this series! Picture books, middle-grade, and YA get a lot of literary attention–chapter books much less so. When I decided to write a chapter books series, my agent told me it would be a challenge to publish because there are fewer houses that publish them and a series is a big investment. Against all odds, Angela and I did it, and our books are among the first, if not the first, Latina-authored and illustrated chapter book series. 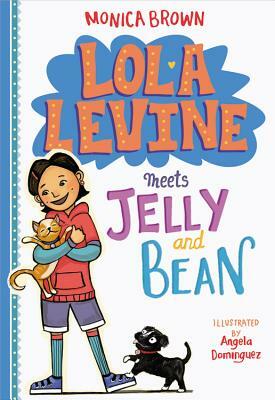 When I was in second grade, I would have loved to meet a rough and tumble girl like Lola Levine. You see, I spent a fair bit of time on the bench at recess! Apparently I talked a lot in class, played tag a little too competitively, and jumped in puddles on purpose. I do remember that my mother was called more than once to bring me dry shoes. 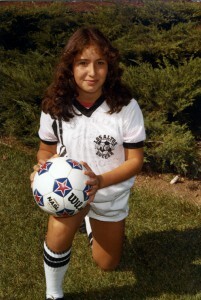 In fiction, as in life, rascals and rebels might have more fun, but I learned to channel that mischievousness into creative outlets and team sports, not to mention a great deal of humor. Like Lola, I was also a child of two cultures, and I know first hand that mixed-race children, like myself and my daughters, are sometimes described as “half” this or “half” that, instead of beautifully whole. Lola Levine isn’t a fraction; she is made up of multitudes! As a mother, a teacher, and a writer who meets thousands of children each year, I’ve also observed the way girls (and boys) who don’t quite “fit in” can experience social exclusion, teasing, and even bullying. These are some of the reasons I created the chapter book series focusing on this irrepressible character of Lola Levine, who is boldly, fiercely, herself. 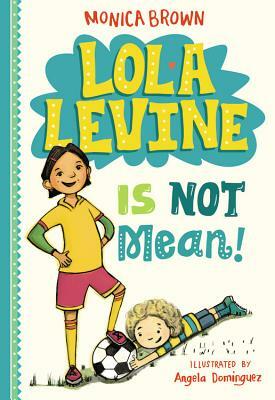 Lola teaches us that girls can be competitive and loud and funny, but sensitive and nurturing, too. This series is also covering new territory. For example, in the upcoming Lola Levine and the Vacation Dream (Book 5), Lola goes to Peru with her family and visits her beloved Tia Lola. She stays in the house her mother grew up in and learns about her own complex history and Peru’s. This may be the first chapter book that addresses themes of indigenous identity and colonization in Peru. As a writer, I’ve been inspired by director Guillermo del Toro, famous for the film Pan’s Labyrinth, who in relationship to art, imagination, and childhood once noted that there is “a particular moment that we all go through when we are asked to stop believing and stop choosing who we are and become who everybody else tells us to be.” He goes on to say, “we should not obey . . . imagination should not comply.” There is such a freedom in being oneself, and that is a gift I bestow on my character Lola. It was a dream and a pleasure to create a smart, diverse, multicultural character who each day chooses to be herself, and whose imagination certainly does not comply! Viva smart, bold girls, and viva Lola! Interested in more Chapter Books featuring Latina Characters? 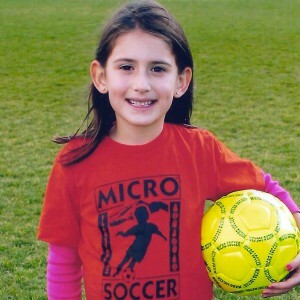 In her recent blog on “Latina Girl Power! 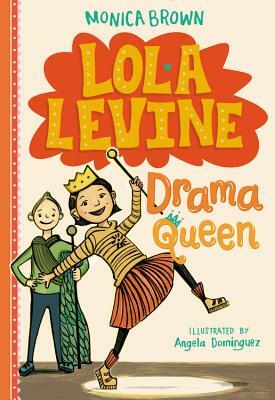 Chapter Books with Latina Characters,” librarian Mary Ann Schuer highlights Lola and other chapter books featuring Latina characters. Monica Brown, Ph.D. is the author of many award-winning books for children, including Waiting for the Biblioburro, Marisol McDonald Doesn’t Match/ Marisol McDonald no combina The Lola Levine series including: Lola Levine is Not Mean! 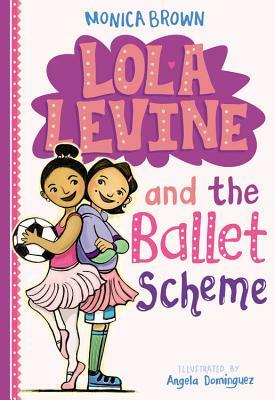 ; Lola Levine, Drama Queen; Lola Levine and the Ballet Scheme, and Lola Levine Meets Jelly and Bean. Find Monica on Facebook at Monica Brown, Children’s Author, on twitter @monicabrownbks, or online at www.monicabrown.net. DESCRIPTION FROM THE BOOK JACKET: Meet Tito Puente, the King of Mambo. Tum Tica! From musical prodigy on the streets of Harlem to five-time Grammy Award winner, Tito’s life was full of rhythm. Drums and claves, saxophones and tambourines were all part of the fun. Tac Tic! Monica Brown and Rafael López, the award-winning creators of the Pura Belpré Honor Book My Name is Celia/Me Llamo Celia, team up once again for another spectacular collaboration in this upbeat tribute to a musical legend. 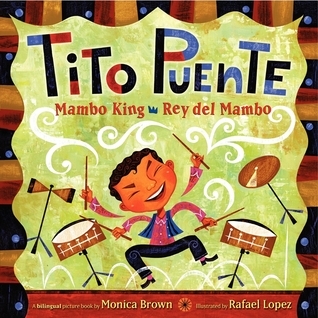 MY TWO CENTS: Brown was presented with the challenge of summarizing Tito Puente’s life and music career in a picture book, and with the collaboration of Rafael López and his lovely illustrations, she succeeded wonderfully. What makes this picture book stand out is how beautifully words (English and Spanish) and images resonate with Tito’s sounds. The illustrations here are so vivid that you can almost see movements and listen to the sounds that are evoked. Brown and López effectively capture the beat and feeling of Tito Puente’s music throughout every page. The book starts with an image of a boy and girl peeking through a curtain, as if we are about to start a show. This is where we are welcomed to Tito’s story from his childhood in El Barrio to his Grammy award-winning years. López’s colorful and vibrant images, along with Brown’s words and onomatopoeia, show us how music was constantly present in Tito’s life. These same images and words also construct a fond view of Latino life and music in NYC during Tito’s life. Brown and López give us a very entertaining book that also manages to educate us about Tito’s life and the importance of music education. It is important to remember that Tito Puente was a product of music education and a supporter of music programs in schools. He even successfully worked toward the creation of the Tito Puente Educational Foundation that offers scholarships to children interested in learning music. This is an issue that is relevant when arts and music programs are constantly facing budget cuts. Being in tune with Puente’s life (and other great musicians and singers) helps to inspire us to support arts and music education, thus this picture book also serves as a great tool to familiarize with the power of music and arts as an important aspect of the learning process. 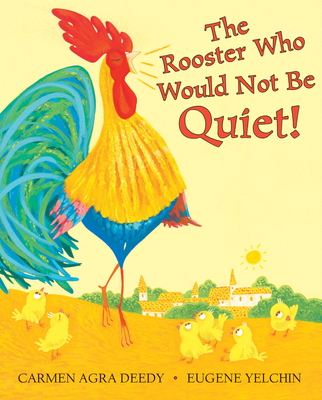 TEACHING TIPS: This is a bilingual picture book (ages 4-7) that works well for early readers, but is a perfect one to read aloud. Parents, grandparents, family members, friends, or guardians can read in English, Spanish, or both, while teaching words and sounds to their young ones. School and public librarians can also use this book during storytime, and they can incorporate Tito’s songs and beats as the closing songs. Going along with Tito Puente’s sense of collaboration with music, teachers (pre-school-2 grade) can also collaborate in school with this book. Language Arts, English, and Spanish teachers can read this book to their students, while teaching new words (in English and Spanish), onomatopoeia, and Tito’s life (the book includes a short biography). Art teachers can encourage and help students to create different musical instruments that are mentioned in the book. Music teachers can use the basic musical notation of a rumba for timbales, bongo, and congas that is available at the end of the book to teach some beats to the students. 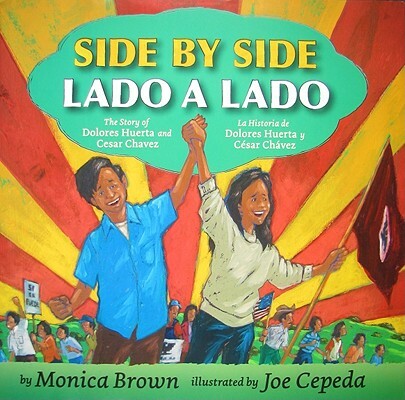 AUTHOR & ILLUSTRATOR: (information comes from HarperCollins Publishers, Monica Brown’s website, Rafael López Books’ website, and Rafael López’ website. Monica Brown is the author of many award-winning children’s books and an English Professor at Northern Arizona University, specializing in U.S. Latino Literature and Multicultural Literature. She has a BA in English from University of California, Santa Barbara, an MA in English from Boston College and a PhD in English from The Ohio State University. In addition to children’s books, Monica Brown also writes and publishes scholarly work with a Latin@ focus. She is a recipient of the prestigious Rockefeller Fellowship on Chicano Cultural Literacies from the Center for Chicano Studies at the University of California. Rafael López is a Mexican award-winning illustrator and artist, whose work is influenced by his cultural heritage, colors of Mexican street life, and Mexican surrealism. In addition to children’s books, López has illustrated posters, United States Postal Service stamps such as the Latin Music Legends series, and he has launched street art projects to revitalize urban neighborhoods, such as the Urban Art Trail Project. He is the recipient of various Pura Belpré Honor for Illustration awards for books such as: My Name is Celia: The Life of Celia Cruz/Me Llamo Celia: La Vida de Celia Cruz (2006), Book Fiesta! : Celebrate Children’s Day/Book Day/ Celebremos El Día de los Niños/El Día de Los Libros (2010) and The Cazuela That the Farm Maiden Stirred (2012). He also received two Américas Awards for Children’s and Young Adult Literature for My Name is Celia (2006) and ¡Yum! ¡Mmmm! ¡Qué Rico! Americas’ Sproutings (2007).